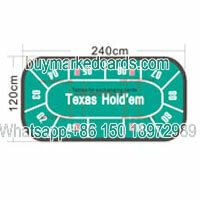 Gamblers holdout device has significant meaning on Texas holdem and Omaha poker and the playing cards magic show. Lost a whole half-day to stuck behind the roadside trick entertainer to unlock how they change the cards instantly. Entertainer have been practiced for years since they show the exchange cards trick to amuse crowd. 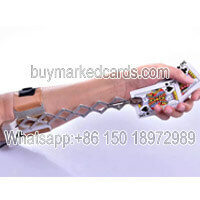 Buy Marked Cards finds you a short path that we set the pattern of the gamblers holdout device according to the entertainer's unique skill. 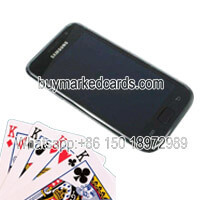 No need yourself to think of how to make the playing cards holdout device. 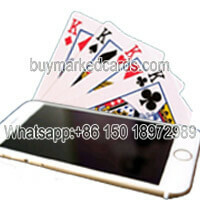 The poker magic trick tool be inserted in the cell phone like Samsung, iPhone, or Mi brand as cover. When the cards approaching, it can release the prepared cards instant and change it automatically. No need a decade's training, a small potato could be transformed to a playing cards trick exchange grandmaster. 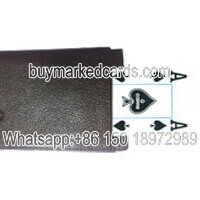 It is utterly spurious if poker player use the holdout devices to change the cards in casino or poker club. That's why the law forbidden this behavior.